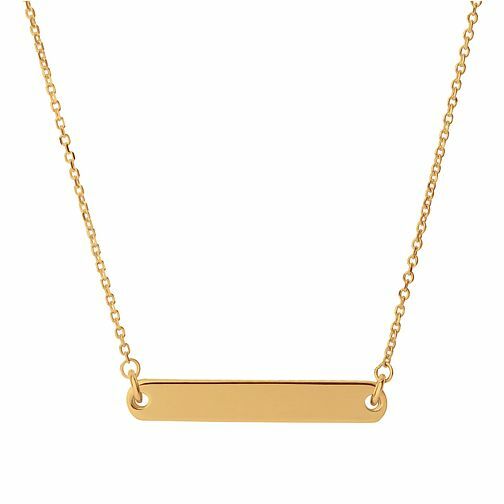 Links of London presents this minimal horizontal Narrative Yellow Gold Plated Short Bar Necklace. The bar pendant measures 3.1cm and is perfect for engraving with the sweetest sentiments. This Short Bar Necklace is a stylish gift for the woman in your life.